We often make fun of TV networks and question the wisdom of their decisions. However, deep down we know it must actually be a very difficult job deciding what shows to give the green light to and which to send back to the proverbial drawing board. So, it is with the utmost respect that we present a bunch of previews for Fox’s new Fall shows coming to your TV later this year. We’ve also included the new schedule so you can get an idea of what shows are coming back, when they’re going to air and what new shows you may want to se your DVR for. For our money, most of these look like a lot of other shows we’ve already seen before. Again, we know it’s difficult and we know networks are losing audience to the Internet, but maybe more of the same isn’t the answer? 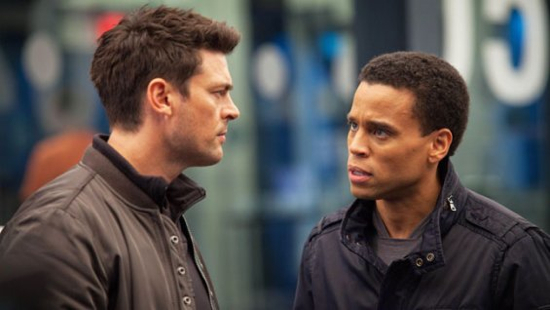 Anyway, we do like the looks of Almost Human, but the rest don’t really do it for us. It’s a good thing Fox has decided to bring back Jack Bauer for more 24. They may need to fill some space in the schedule pretty soon. Check out the previews, and the entire Fall schedule, after the break.